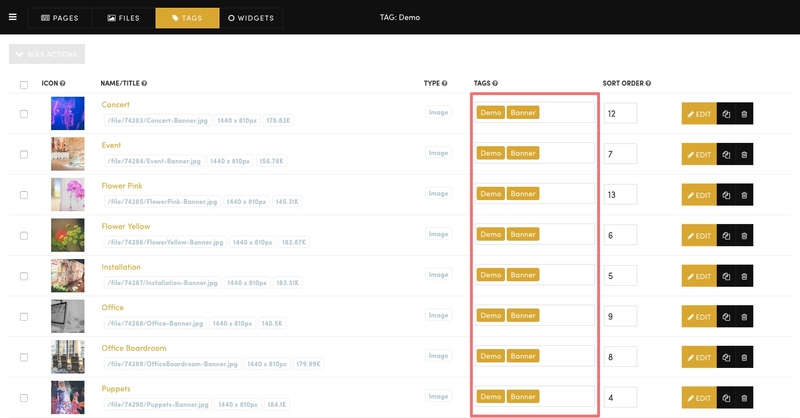 Tags are an amazing way to group pages and files on your website. In any Widget (e.g. Blog or Gallery) you can choose which tags you want to show. Simply add the 'Tags' that you require for each page or file. Tags that you have already created will appear as you start typing. You can also manage tags in bulk here in the 'Tags' section.